Last night the Monday Evening Bible Reading Group came to the end of an adventure we embarked upon last November - reading through all of the Minor Prophets. This group works on the One to One Bible Reading model, except that it isn't one-to-one. At present there are seven of us. The intention is to get together and read the Bible. There aren't a set of prepared study questions. We just read between one and five chapters each time we meet and after each chapter discussions loosely fit around the three questions, "What made you go WOW? ", "What made you go WHAT?" and "So what does that have to do with us?" We don't specifically ask those questions anymore. That has just become the natural flow of our discussions. This style of reading models that it isn't necessary to understand every single detail. The aim is to get enough meaning on this read through to give the courage to read it again some other time and hopefully glean a little more understanding. It's about building joy in the Word and building in a diligence to read ALL of the Word. I should add that I did do some preparation before we met, which is not part of the model, but the Minor Prophets make so much more sense with a bit of background knowledge. So the Minor Prophets are done. In the past we have done Luke followed by Acts. Last year we did the bookends - Genesis and Revelation. Both of these are wonderful Bible reading projects. 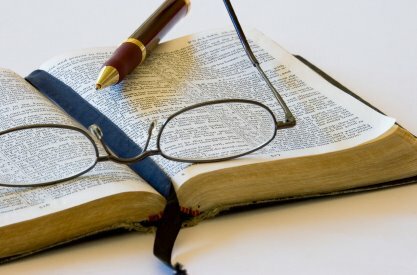 A couple of other interesting projects would be to read Ezra, Nehemiah, Haggai, Zechariah and Malachi altogether or to take the Chronological Bible Reading Plan and read through the Samuels, Kings and Chronicles with a good number of the Psalms and some of the Wisdom Literature inserted along the way as best placed as we can - to get the more poetic writings sitting in their historical context. That would be a HUGE project - it's about three months worth on the plan!! - but it would be amazing. But for now, on Monday evenings, we are heading off in a different direction. We are set to read through all the epistles from Romans to Jude, which should keep us busy for a few months.